Mr Azhar and his brother, Mr Abbas, founded these Chambers in 1974. They were largely responsible for building 9 KBW from a small set into the thriving set that it is today. During his long career Mr Azhar was a well known leader within the Bangladeshi community and he helped many thousands with their legal difficulties, whether that be in criminal, family, immigration or civil matters. His daughter, Shabeena Azhar who succeeds him , together with her husband Jonathan Mole will, continue Mr Azhars work in serving that community. Mr Azhar was recognised as a leading expert in Sharia Law and had extensive experience in all areas of law at the highest level, including the Court of Appeal and the House of Lords. He acted as leading junior in many significant cases representing those charged with murder and other offences of the most serious nature, as well as high-profile matters such as the case of Salman Rushdie "Satanic Verses" and the Tipton Three. Several of his cases have been reported and are still leading authorities. These include DPP v Fagan (mens rea), Hoque v Singh (immigration) and Qureshi v Qureshi (family). 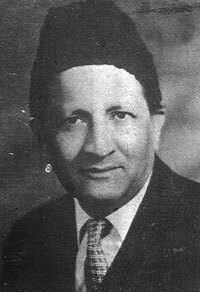 Mr Azhar was enrolled as an advocate of the High Court of East Pakistan and is and was an expert on the Islamic law of marriage, divorce, contact, custody and guardianship, inheritance and succession, as applicable in any Muslim country in the world, and particularly in Pakistan, India and Bangladesh. During his time as Head of Chambers at 9 KBW Mr Azhar was always heavily involved in Chambers' human rights work abroad in, such cases as the Guantanamo Bay case. He defended in a murder in Canada and attended national security courts in Turkey and Egypt. He visited Israel and made representations for the release of Palestinians from the Israeli high security prisons, as well as a military tribunal in Cairo. In 2005 he attended the Maldives as part of a four-strong delegation, led by Sir Ivan Lawrence QC, who were engaged on a fact-finding mission concerning alleged human rights abuses. In 2012 Mr Azhar joined the defence team of former President Mohammed Nasheed to advice on the forthcoming trial. Mr Azhar was an example to us all of the finest in the legal profession.